Atlanta, Georgia | A 32-year-old man went on a killing frenzy last night, after spending 36 hours in a row watching Walking Dead while doing drugs. 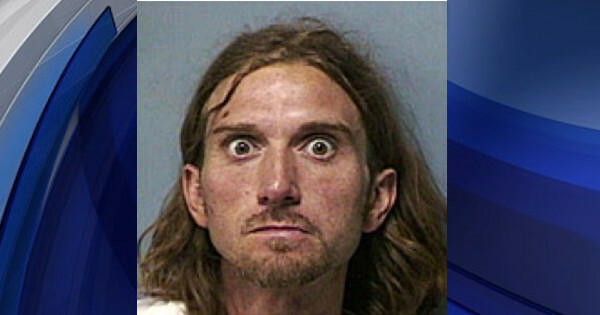 According to the police, Kevin Fogarty was so badly intoxicated with crystal meth that he became convinced his apartment was surrounded by zombies. He equipped himself with an assault rifle, two pistols, a machete and a hammer, before going outside to “kill undead”. “He was walking down the street screaming ‘you won’t have my brains, you bastards!’ and shooting at everyone,” reports 47-year old Barbara Davis, who witnessed the whole scene. He shot a total of 31 people before running out of bullets, killing 12 and injuring 19 others. According to the Major Paul Guerrucci of the Atlanta Police Department, Mr. Fogarty’s killing spree was caused by hallucinations linked to a combination of drugs, lack of sleep and watching too much zombie-themed television. Walking Dead is a television series in which the world is overrun by zombies and the survivors struggle to stay alive and adapt to this post-apocalyptic world. Much of the series takes place within the Atlanta metro area and surrounding countryside, a fact which seems to have fueled Mr. Fogarty’s confusion. 5 Comments on "Man on crystal meth kills 12 neighbors, thinking they’re zombies"
Holy wtf sh*%, doesn’t America have drug testing when acquiring a license and a regular renewal of firearm licenses that includes a drug test? Why is this mothetfucker still breathing? Where is all the Trump outrage? Jammin, God suffers many things too take place, such as your birth date.